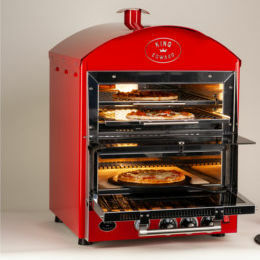 The chilled display version - also available in two sizes and a choice of attractive finishes. All cold servers are manufactured to the CE standard. 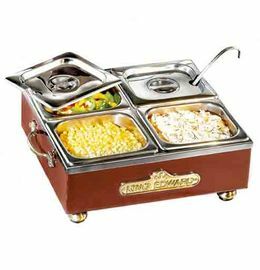 The King Edward cold server provides the perfect means of displaying chilled toppings such as butter, mayonnaise, coleslaw and relish. To use it you simply freeze the eutectic ice pack (provided) in the freezer overnight and then pop it into the base of the cold server before use. These high quality eutectic packs will stay frozen for around 10 hours! 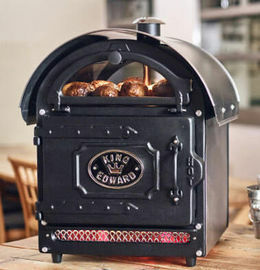 Fully portable and no running costs, another innovative first from King Edward!